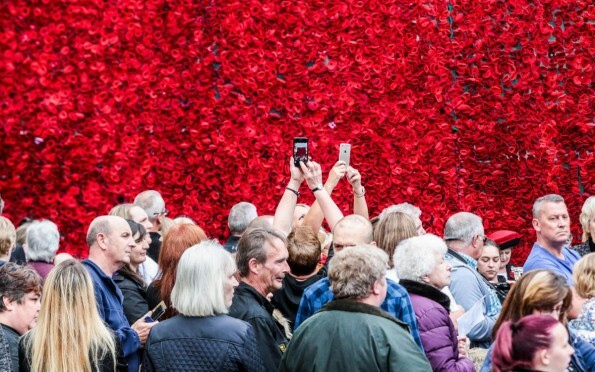 THERE were gasps of amazement and a round of applause as the curtain dropped on a breath-taking display of almost 20,000 knitted poppies on Saturday. More than 100 people gathered in West Cornforth, near Ferryhill, to witness the grand unveiling of 19,240 handmade poppies suspended on large nets in front of the Church Hall. 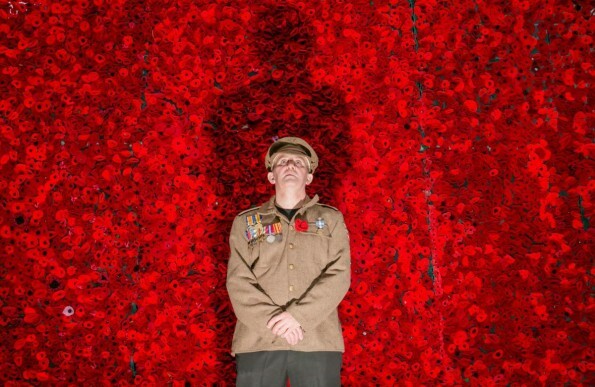 Each poppy represented the life of a British soldier killed on July 1, 1916, the first day of the Battle of the Somme. 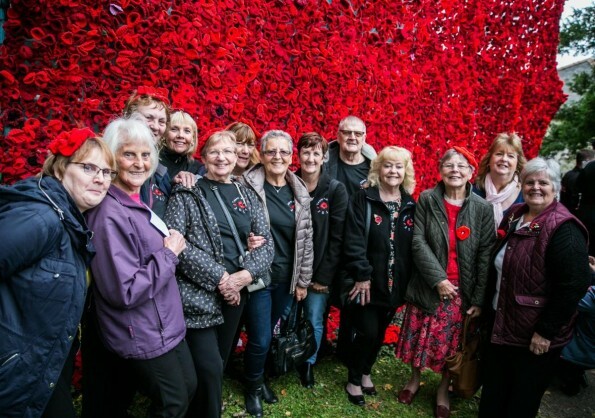 Army veteran and Field of Poppies project co-ordinator Andy Denholm was thrilled with the turnout, which included the Lord Lieutenant of County Durham Sue Snowdon, Sedgefield MP Phil Wilson, veterans and local councillors. Once again Mr Denholm’s expectations had been exceeded, just like his earlier target of 7,117 poppies, representing County Durham soldiers killed in the First World War. Thanks to the support of West Cornforth residents and parishioners at Holy Trinity Church in Cornforth and St Luke’s Church in Ferryhill this target was quickly surpassed and it was not long before contributions were coming in from as far away as Canada and Australia. 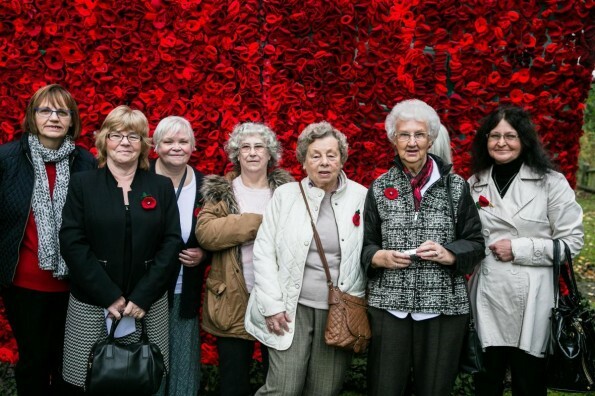 In just four months, the volunteers made almost 23,000 knitted poppies, with the remainder used to create wreaths and decorations. In West Cornforth, the knitting efforts were led by Team Poppy, who spent three full weekends attaching the flowers to the nets. 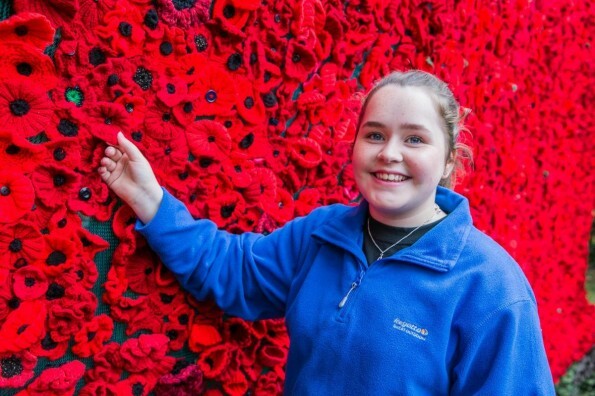 One of the youngest members was 13-year-old Nieve Archer, from Newton Aycliffe, who sewed on the last poppy. The knitters were not alone in feeling moved by the display, with many spectators wiping tears from their eyes during the service, which included the Last Post and Reveille and a two-minute silence. After singing the National Anthem, everyone headed to the Salvation Army Hall, where refreshments, funded by parish, town and county councillors, were served. The MP also highlighted the project to the chairman of the defence committee, Dr Julian Lewis, who wrote to Mr Denholm to congratulate him. 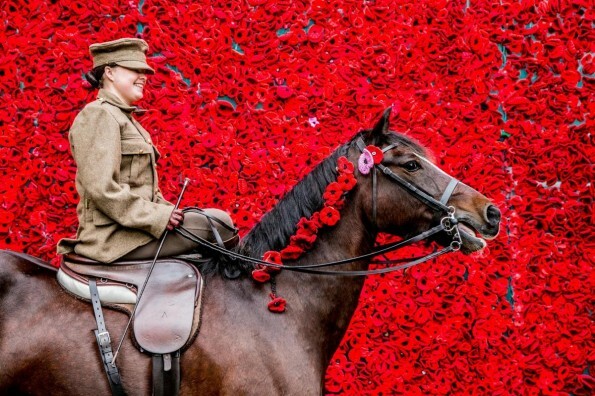 The Field of Poppies will remain on display until after Remembrance Sunday.